Dany is in her New Home for her retirement ! Congratulations to New Owner Nancy V in Wisconsin! 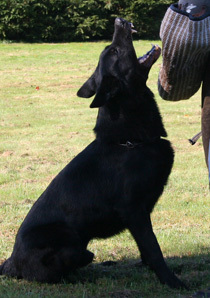 Imported from Germany, Dany is a 100% DDR female with excellent DDR head and dark pigment that is known to the DDR Dogs. Dany is a well proportioned female with very nice correct topline and underline, substantial bone and lovely expression with dark eyes. 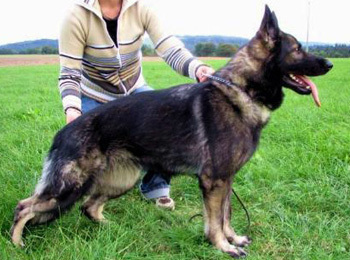 Her expression, character and head type is super and is typical of what we like to see from the the DDR dogs .Dany's pedigree contains such greats as V Sven Grafental, V Illa von der Mittelhäuser Flur, Don vom Haus iris, V Brando von der Marderklause, Mentor vom Haus Iris, Newmanns Sarah, Newmanns Janka, Cessi v Gleisdreieck and the well known contributor to the breed, V Alf Kornersee...this is an excellent DDR pedigree. 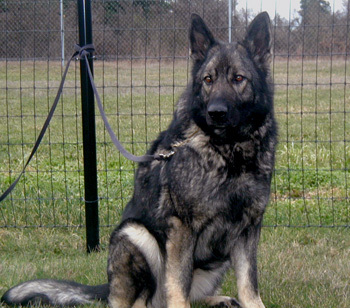 Dany's coat color is a rich dark black sable with excellent pigmentation. Dany has an outgoing and free temperament. 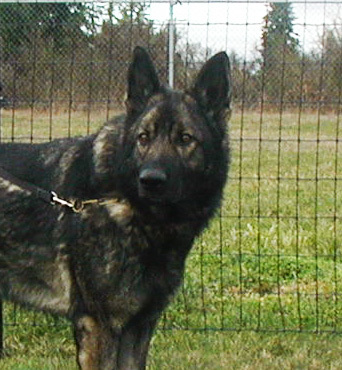 and possesses good ball drive and very good protection skills making her an excellent choice for pups which will be suitable for Family protection, schutzhund, search and rescue and therapy dogs. 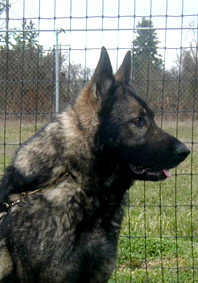 Dany is linebred on the following DDR Dogs..
Ron is Sch 3, V Rated and KKL1. 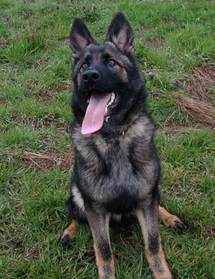 Pups have excellent noses for tracking work, possess super work ethic, and are agile, easily trainable and quick to learn..
Click here to view litter. 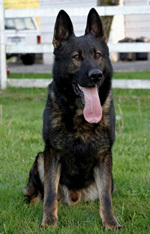 This was an excellent and drivey litter for use in Schutzhund sport, S&R or police work. 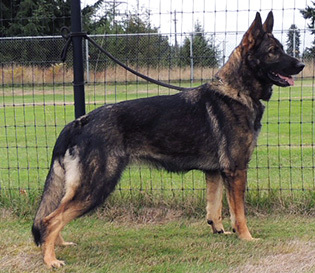 Temperaments were outstanding and this Slovak/DDR pedigree combination produced pups who were clear headed and very sure of themselves, with balanced drives and who were of good nature for use in home companion and personal protection work as well. 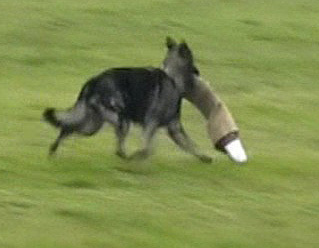 motivated for the toy; quick to learn. 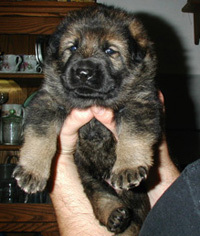 Her "P" Litter was Born July18th, 2011. 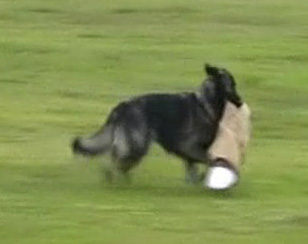 From Dany x Ivo's "P Litter"